An old-school mom-and-pop restaurant in the heart of the Gaslight District, the Proud Rooster has been getting a lot of attention lately. It recently topped a list of recommended mom-and-pops on the Only In Your State website. And last week 94.9’s Sandy and Holly “DJ’s and Diners” tour made its first stop at the Proud Rooster. 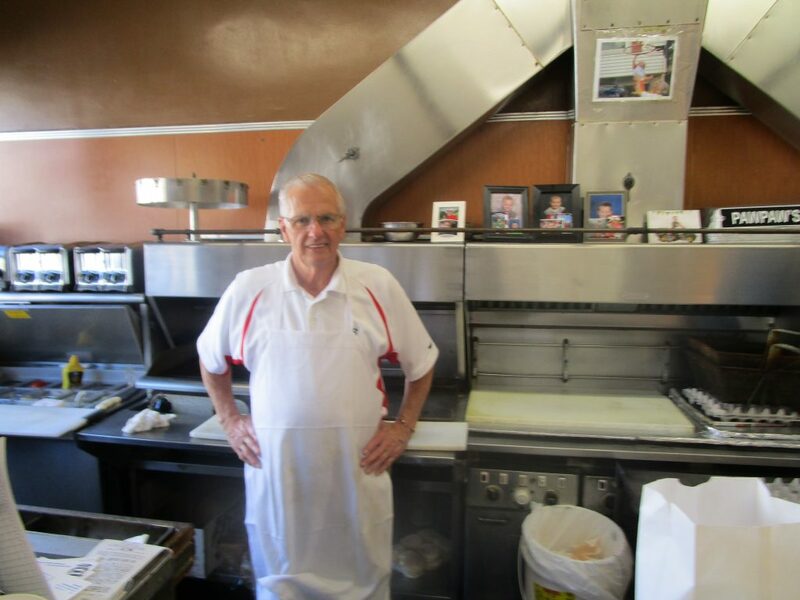 The praise is well-deserved, as the Proud Rooster, located at 345 Ludlow Avenue, provides good diner food and the kind of casual charm that befits a family-owned restaurant that’s been an integral part of Clifton’s Gaslight District since Eisenhower was President. (Before that, it was the Hitching Post.) 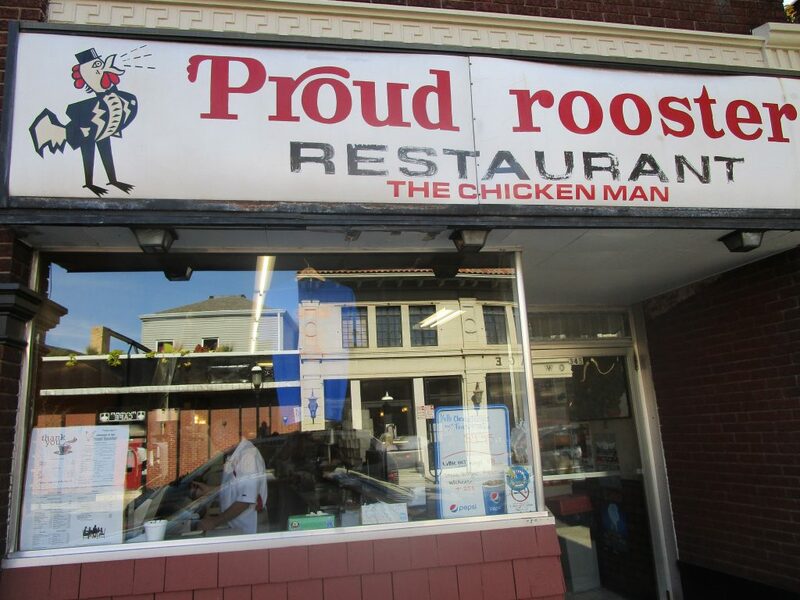 The Proud Rooster is open for breakfast and lunch, and the hours are 8am to 2:30pm Tuesday thru Saturday and 8am to 1:30pm Sundays; it’s closed on Mondays. 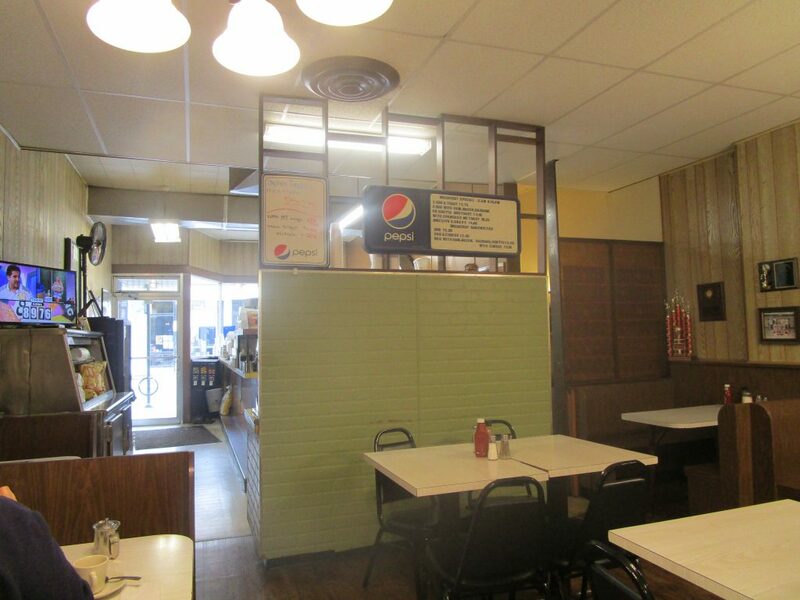 It serves breakfast staples like eggs, bacon, sausage, and home fries; lunch items include burgers, fries, and fried chicken. 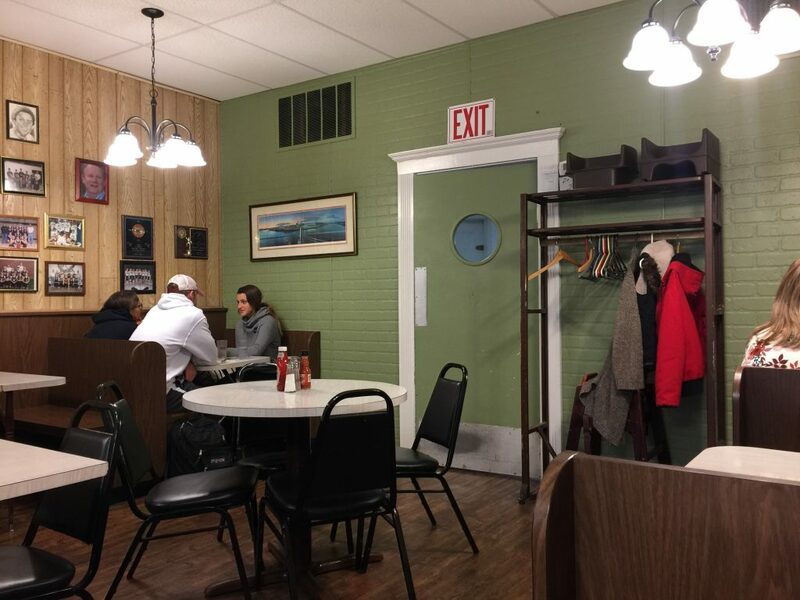 The Proud Rooster has a relaxed vibe, and in the mornings you’ll see plenty of half-awake morning customers rolling in wearing shorts or sweats. While there, you’ll also see lots of sports memorabilia on the walls—photos of Bob Huggins, Sam Wyche, and other well-known coaches. 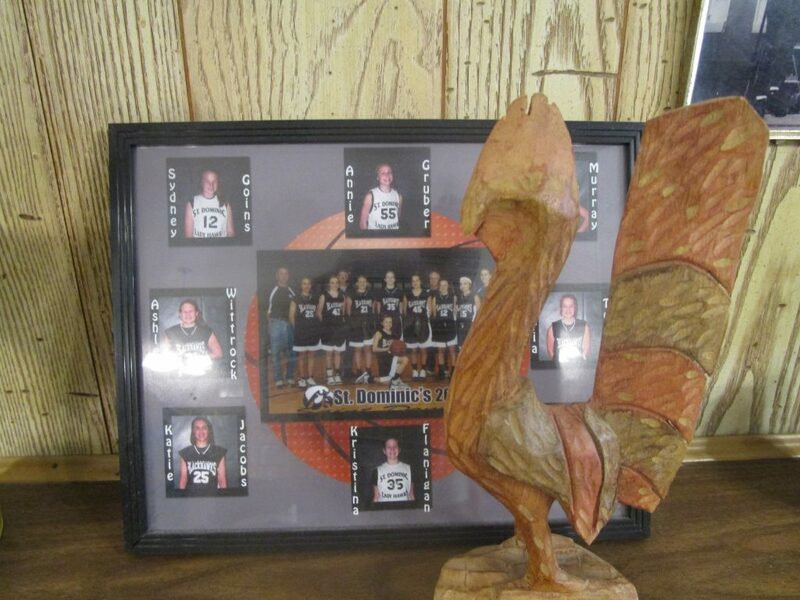 And you’ll see photos and trophies of basketball teams once coached by the owner of the Proud Rooster, Bob “Chicken Man” Doll, who coached girls’ basketball for 28 years at St. Dominic in Delhi. 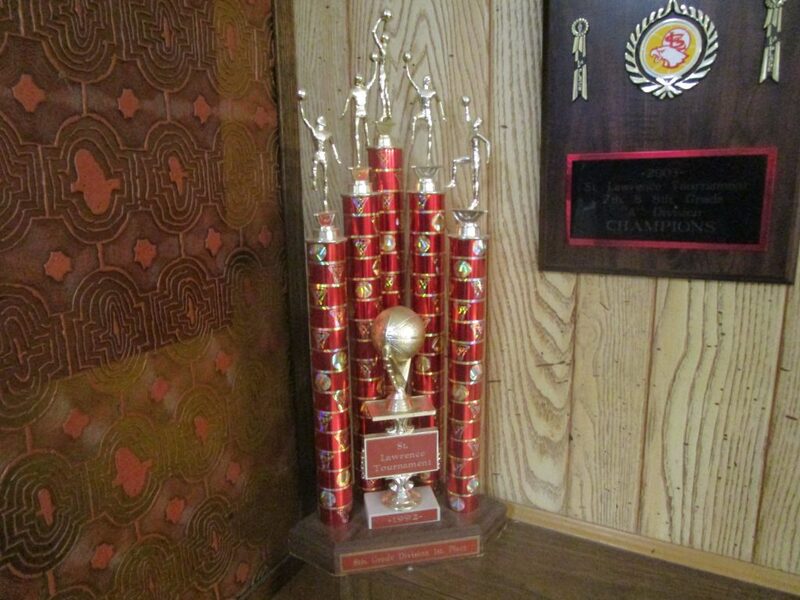 The team won three city tournaments and were runners-up three other years. When I asked Bob what he loved most about coaching, he said, “To see kids believe in themselves.” The work was all volunteer, and he made it clear that the benefits of playing sports—and his connection with the students—extended well beyond the end of the season. “People say, ‘I don’t know if I can do that, I’m gonna quit”—well, that’s too easy,” he explained. “You gotta fight for it, and all my kids have done that. “They start to believe in themselves. Every time I see them now, I think, that’s all my kids. They seem to achieve more when they get out. Just as he had an influence on St. Dominic’s eighth graders, Bob had had a positive impact on the Gaslight District—and for that he deserves a yet another trophy.